The progressive miniaturization of PCB structures and their associated increase in complexity require electronic components to be positioned with a high level of precision. Linear drives are used today in a broad spectrum of machine tools to achieve this high positioning accuracy. 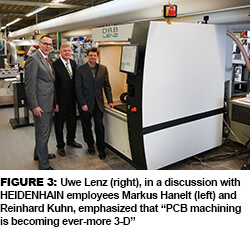 One of the technology pioneers with drilling and milling machines for printed circuit boards is Ernst Lenz Maschinenbau GmbH. 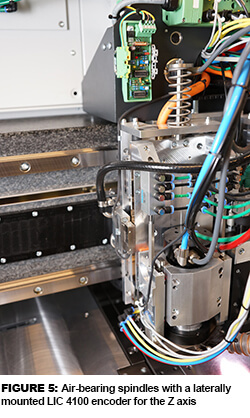 The manufacturer from Sinn in the Central Hessen region of Germany was the first company to successfully use linear motors with PCB drilling machines. 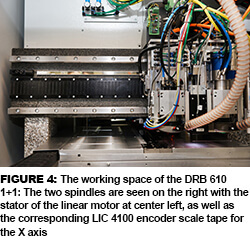 This technology was also implemented for the DRB 610 1+1 PCB drilling and milling machine shown at the Productronica 2013 fair for the highly dynamic positioning of its two spindles (Figure 1). 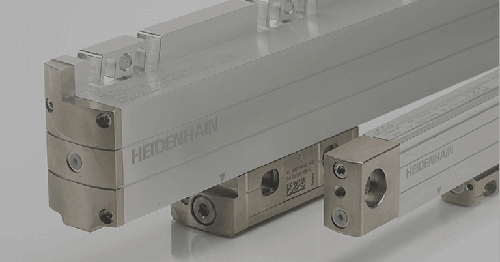 The machine producer also places its trust in LIC 4100 absolute exposed linear encoders from Heidenhain to achieve precise position measurement and control of traversing velocity (Figure 2). 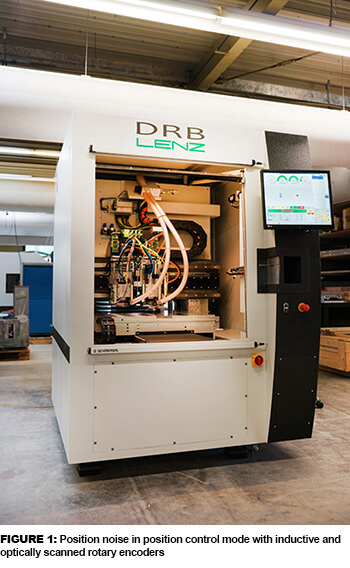 Lenz once again made claim to innovative, market-compliant solutions with its DRB (Drilling, Routing, Belt) 610 1+1, presented for the first time in November 2013. The special feature of this machine tool is that it masters both contact depth drilling and contact depth milling in all three axes (i.e. also Z-controlled depth drilling/milling), dynamically and with high precision. The newly developed DRB 610 1+1 has a very compact setup space of 1410 mm x 1620 mm with a working space of 610 mm x 650 mm. A further advantage of the machine is the large, laterally integrated tool belt with 2,400 tools. 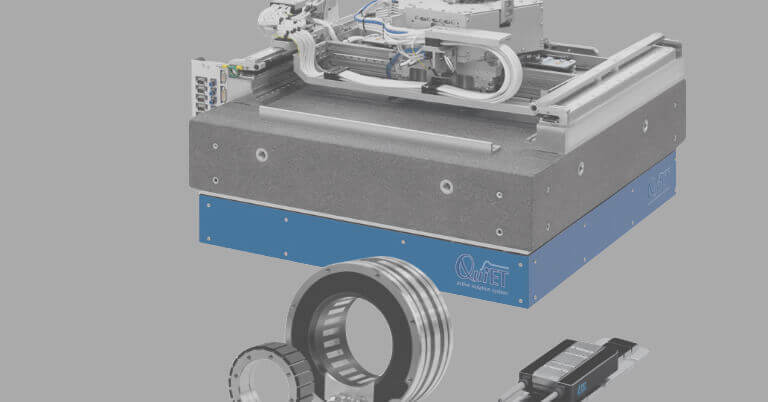 Tools are changed with a separate belt drive, so the many tools are therefore no longer positioned with the X axis, which significantly relieves this axis. This in turn meant that a smaller drive, and as a result, a more compact machine, could be designed. “Another advantage is that the operator can replace tools while the machine is in operation,” explained Uwe Lenz. All current, standard depth drilling and milling operations can be performed on the fully automatic machine equipped with two spindles (circuit boards are automatically loaded and removed). Not only do are spindle rotational speeds impressive—accelerations for the X, Y and Z axes are also very high. “To carry out up to 1,000 drilling operations per minute, the X and Y axes are accelerated with almost 2 g and the Z axis with more than 3 g,” explained Uwe Lenz. 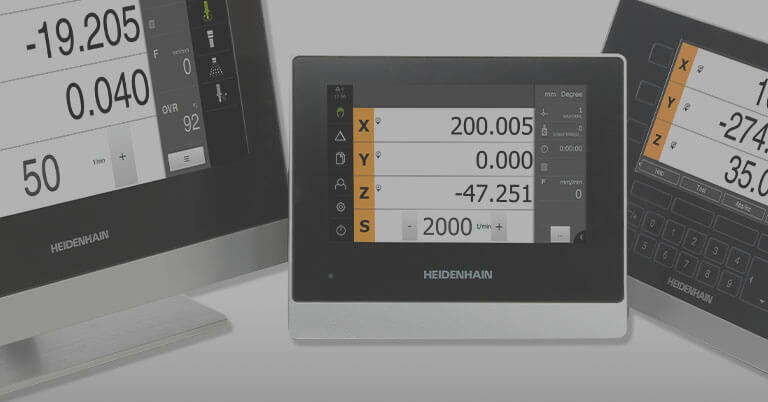 The Sieb & Meyer CNC 84.00 requires quickly available position values for the linear motors to traverse precisely at these high accelerations, and this is the reason why the LIC 4100 from HEIDENHAIN is used for high-accuracy positioning of the X, Y and Z axes. The CNC 84.00 has been specifically developed to control drilling machines used in the PCB industry. The high-performance software and hardware enable maximum precision, productivity and drilling machine availability during production. Linear encoders for position feedback are indispensable for the high positioning accuracy of machine tools. 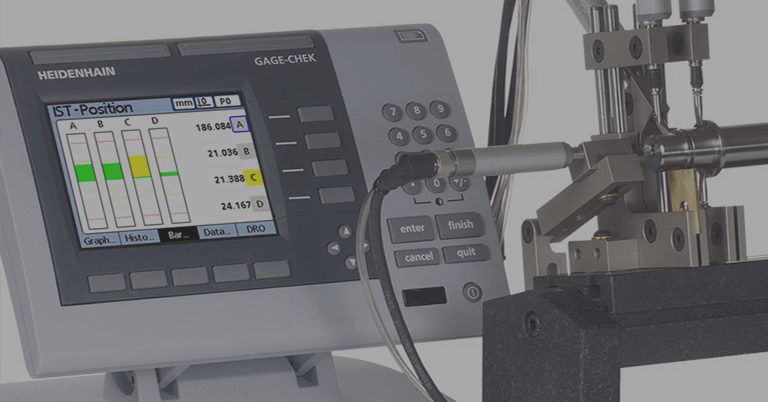 They directly and immediately measure the actual position of the feed axis. Besides its capability of absolute position measurement, the exposed LIC 4100 encoder is characterized by its high resolution of 1 nanometer and its fast, purely serial EnDat 2.2 interface. Absolute encoders, which provide the current position immediately upon switch-on, offer high technological reliability and safety because they can do without the reference runs that would otherwise be necessary. Absolute encoders are especially well suited for use on direct drives. Immediately upon switch-on, the higher-level electronics detect the actual position and the commutation offset, and the motor can immediately be provided with power and held in the control loop. Critical operating states, such as switching on a vertical axis with direct drive or retraction after an emergency stop, are controlled safely. The very high quality of the measuring signals improves velocity control and positioning in highly dynamic applications. “Thanks to their specialized scanning technologies, these encoders are insensitive to contamination and therefore guarantee a high degree of equipment availability and a high traverse speed, while at the same time achieving a high resolution of up to 1 nanometer,” explained Dipl.-Ing. (FH) Markus Hanelt, Head of Sales (Western Region) at Heidenhain. To achieve these extremely small measuring steps, the measuring signals of the incremental track are very highly interpolated and linked with the absolute track to give absolute position information. The high resolution enables high control loop gain in the servo amplifier and therefore precise control and positioning even with very low traverse velocities. “A further advantage with the LIC 4100 is the high permissible temperature range of –10 to +70 °C,” added Markus Hanelt. 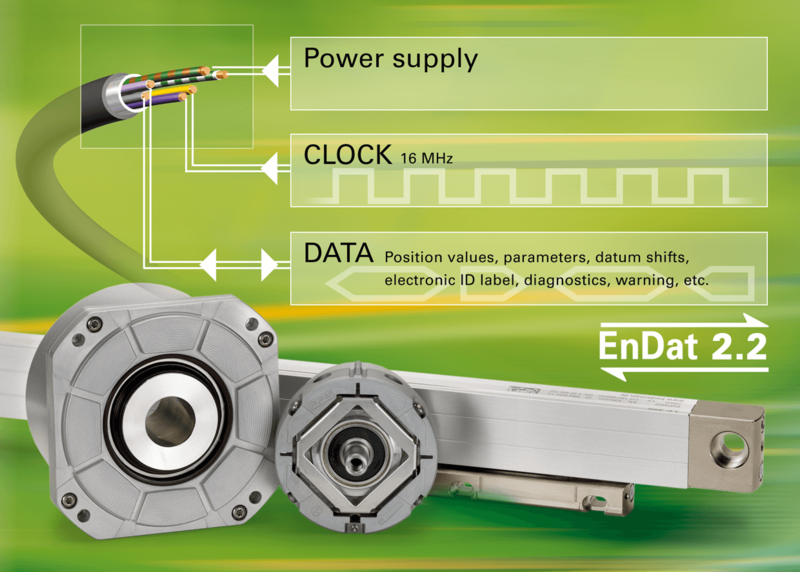 Various encoder versions are available: Zerodur glass ceramics for maximum temperature stability, from glass all the way to tape solutions of up to 28,440 mm. The digital interface provides further operational benefits. 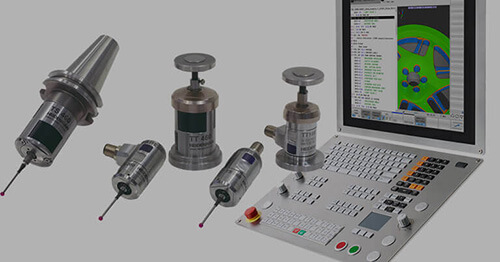 The valuation numbers output over this interface for the absolute track, incremental track and position value calculation provide a real-time status report on the condition of the encoder. 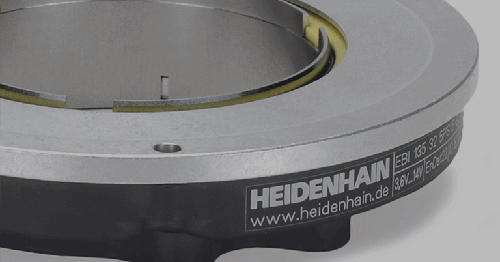 “The valuation figures allow us to simply determine how well the encoder is aligned to the path,” explained Reinhard Kuhn. They also inform about how strong the signal quality is, enabling the operating reserves and thus also the service intervals to be specified. This is an essential precondition for the high availability of the encoders.